The Ritz Carlton brand is synonymous with luxury, which is why the Ritz Carlton Residences in Atlanta feature some of the most lavish living spaces you’ll find anywhere in town. Recently built back in 2009, The Ritz Carlton Residences Atlanta is a towering Bucktown high-rise that truly has it all from a lifestyle standpoint. Once moving into your beautiful new condo here, you’ll have full access to the building’s full compliment of amenities, including a resident club room, a rooftop sundeck and swimming pool, a rooftop grilling area, and plenty of additional hotel-style services like valet parking and concierge. As you might expect, condos for sale at the Ritz Carlton Residences Atlanta feature top-of-the-line interior finishes, which range from marble spa-quality bathrooms to premium chef’s kitchens with upgraded appliances, cabinetry, and countertops. Other features include floor-to-ceiling windows, wide-plank hardwood flooring, in-unit fireplaces, and even private balconies as well. 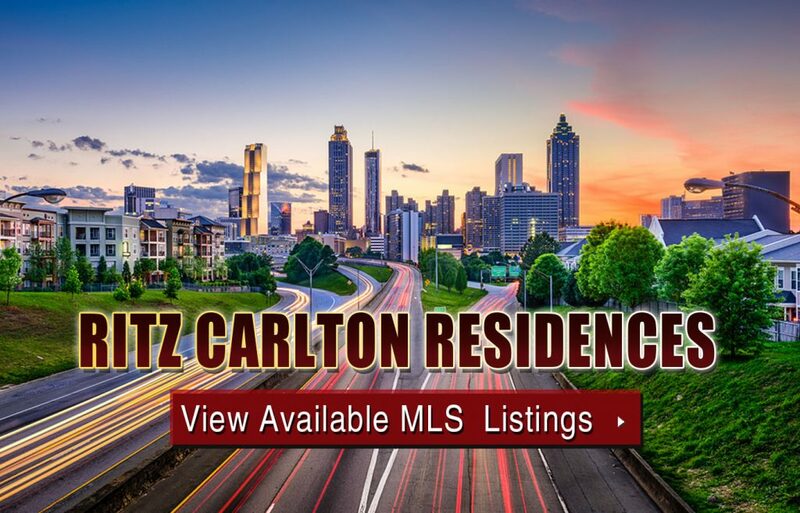 If you’d like more information about Ritz Carlton Residences condos for sale, contact one of our luxury condo experts now, or click below to take a closer look at what’s currently on the MLS. Can’t find what you’re looking for in Atlanta’s Ritz Carlton Residences condominium community? Start browsing other Atlanta real estate for sale or give the Zac Team a call at (404) 564-7200 for help with your new home or condo search today!